I first spotted this gold stretch sequin fabric at Golden D'or (in Dallas) about a year ago. I would have jumped at the chance to buy it then, but it was the price tag that really held me back. At $48 a yard it's kind of investment. Since then, I haven't been able to get it out of my head. Then when I saw beautiful skirts like this one everywhere with $75+ price tags, I figured I could make one way cheaper. Since I only had to purchase 2/3 a yard and have lots of material left over for other projects, I'd say it was well worth the cost. If you're not sure where to purchase a fabric like this you can order online here and here. Also please note that you can use this tutorial for virtually any stretch fabric to make your own mini skirt. First determine which the direction that your material stretches the most, and in the most flattering way. This is the direction that the width of your skirt should be. Measure around your hips (the fullest part of your bottom), divide that number in half and add 2. This is going to be too big, that's okay we want a little extra material to work with during construction. i.e. if your hips are 36": 36 / 2 + 2 = 20 inches. Take a measuring tape and measure from your waist (where the top of the skirt will fall on you) down to where you'd like the skirt hem to fall. Add 1.5" to that number (to allow for seam allowances and hemming). Cut to the dimensions calculated. Then make a second mark (across the width) 1-1.5" over. Connect the marks with a smooth curved line. Repeat at the bottom of the same side, so that one one side of your skirt panels is contoured and the other is not. Sew along that one side with a 1/2" seam allowance. Cut out the extra fabric at the top and bottom. I didn't get a good picture of this step, but next you'll want to sort of "try on" the skirt wrong side out. Wrap the skirt around yourself and pin where the seam of the other side should start. This will help to insure the skirt is neither too small or too big. Make sure that you can also get the skirt on and off with the pins in place (be careful no to poke yourself!). Fold the skirt over so that the curved side meets the pins that you've just put in place. Trace the shape on the other side and cut. Sew with a 1/2" seam allowance. Trace the same shape on to your black lining fabric. Cut two panels from the spandex. Sew down the length of both sides of the lining. With the skirt inside out and the lining right side out, pin the waist of the lining and the skirt together. Sew with a stretch stitch (or zig-zag) with a 1/4 " seam allowance. Pin and top-stitch the waist, again with a stretch stitch. This will help the lining stay put. Pin a 1" inch hem and again sew with a stretch stitch. DO NOT use an iron on the sequin fabric. You could end up with a melted mess. That's it! An even easier way to make a skirt would be to use a store-bought one as a guide. Go here for more tips on making your own patterns. A tutorial for this fold-over clutch is coming soon, plus maybe more sequin related projects. I'm sort of on a sequin kick now! P.S. I had the thought of selling some of these skirts and/or clutches. If you'd be interested please comment below or email me, so I know it's worth the investment of the materials. Thanks! What a great outfit. Love it!!! Eeeek! You're a totally Hottie and I LOVE the skirt! 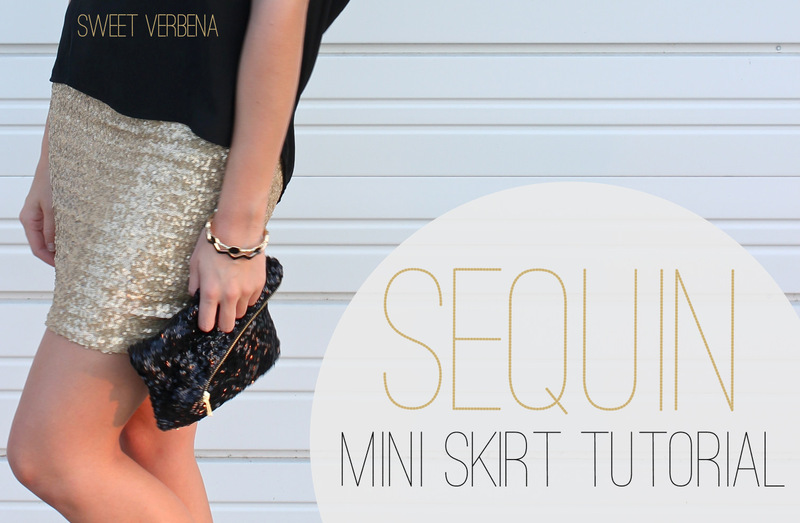 I never thought you could make your own sequin skirt! And I'm SOOOO looking forward to that sequin clutch tutorial!! Gorgeous Katy I love it! It's a beautiful outfit!!! Good job, girl...!!!! This cracked me up, because I've been on a skirt kick lately -- but I'm favoring skirts that are loose, flowy, and anything but form-fitting minis! If I was sewing 15 years ago I would be all over this project. Your skirt came out great and looks adorable on you. I'm going to forward this tute to my little sister, who has long, skinny legs like yours! LOVE these! I'm too old for a sequin skirt and I'm sure you will do an expert job on the Tutorial for the foldover clutch, but if you're offering to make them and sell them - I'm your first customer! Ugh! I hate sewing sequins, but this fabric looks different! It's super cute on you! MAYBE I will have to re-venture out in sequin sewing! haha! How much would you charge if you were to sell a skirt like this? awesome skirt!! I'm loving all the sequins and sparkle! 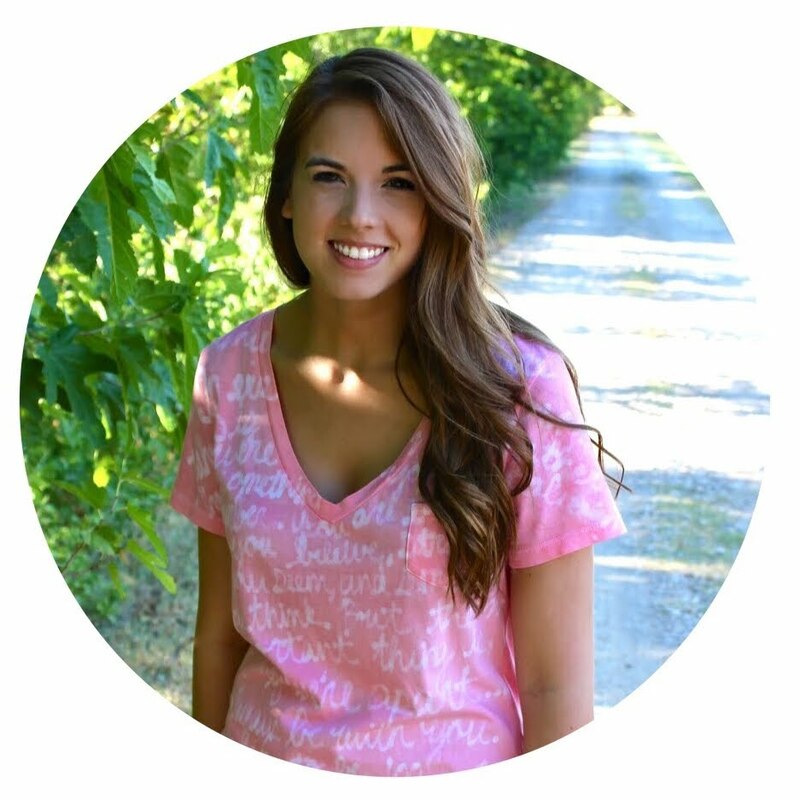 What an amazing blog! I just started sewing about a year ago, but haven't had the guts to venture into clothing. These tips are perfect for getting me feet wet. Kudos! Love it!! You are so stinkin cute! I don't think I could pull it off like you do though!! Seriously love your blog...you give me creative inspiration for my own DIY endeavors. Besides the fact that you look INCREDIBLE, this skirt is awesome! I scored and found an XXL stretch sequin T Shirt in trhe clearance section at target and snatched it up as fast as my fingers would let me. Wish I had thought of that skirt...mine went towards a cute dressy clutch. This is so cute :). I featured it as one of the top patterns over at SewSet today. Thanks so much for sharing! apparel in different colors are well suited for casual wear! Nice Post..What to wear with a grey and blue stripe sequin mini skirt? i have just brought a blue and grey sequin mini skirt (hollister epic skirt) go take a look and tell me what to wear with it in the winter. Thank you for sharing this very helpful tutorial.skirt look fabulous! What was the length of your skirt? I would pay a serious amount of money for you to make one for me! I am not sure what exactly "serious" is but really, I am very interested!